Most of the time I’m pretty content with being a Chihuahua. I get carried around all day. I can fit in really small places like under the bed or in mi mama’s purse. I have a personal butler to clean up after me, like when I leave my toys out or “accidentally” drop a little turd on the rug. People always assume I’m much younger than I really am because of my teeny stature and I still get carded at PetsMart when trying to buy a bag of DogNip. When someone tries to tell me what to do or if I’m bored with what they are saying, I can pretend I don’t understand English and quickly scamper away without seeming rude. The list goes on but I think you get the point. However, there are a few situations when being a small (albeit awesome) little pup is not completely wonderful. I came upon one of these instances this past weekend when mi papa was having some of his rugby friends over for dinner. I, of course, was in charge of all the preparations and dinner menu and already knew what I wanted to make for the occasion (Butternut Squash Lasagna). I even knew what I wanted to have prepared as a dessert (Carrot Cake Cupcakes). Unfortunately mi mama had a different plan and suggested I bake up some brownies for our guests instead. 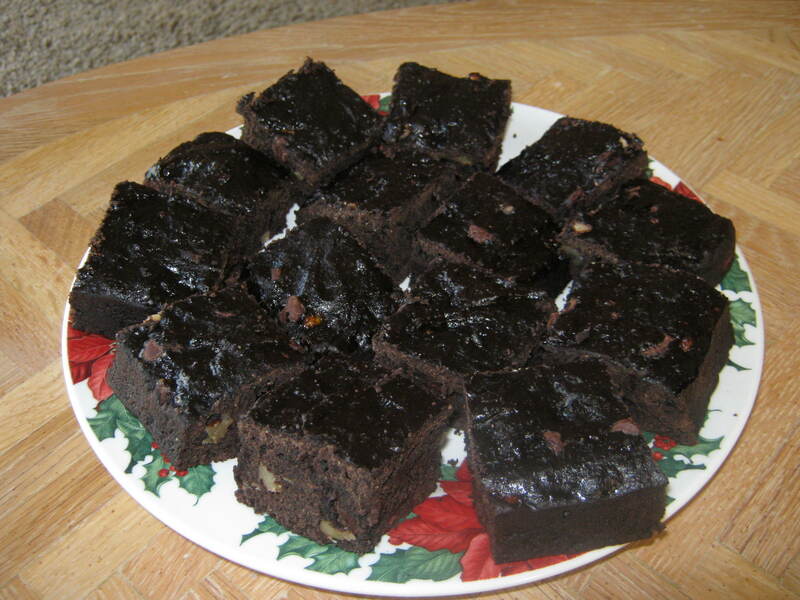 Brownies!!! No, not brownies!! 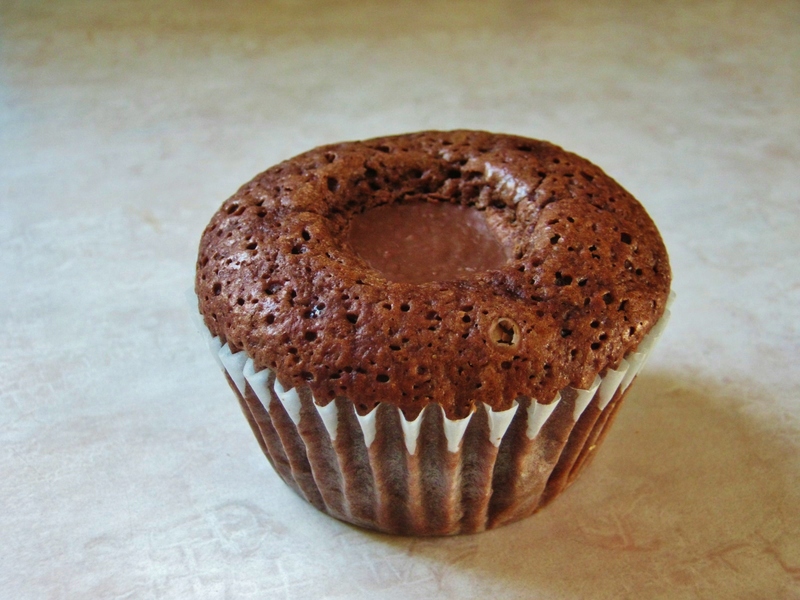 Chocolate– my nemesis!!! It’s not that I dislike the taste of brownies. Quite the opposite really. What I do dislike, however, is the massive diarrhea and convulsive vomiting that goes along with sampling a little bit of brownie. Oh the perils of being a dog, and not having the corresponding enzymes in my stomach to be able to properly digest chocolate… and grapes and raisins and walnuts… oh don’t even get me started on those evil bastards nuts. Now I don’t like to disappoint mis padres, especially mi papa, so I sucked it up and agreed to make a batch of brownies for the occasion. And oh holy frijoles did they turn out delicioso! Well on that note, I better be going. And speaking of notes, I need to go practice mine on the piano. 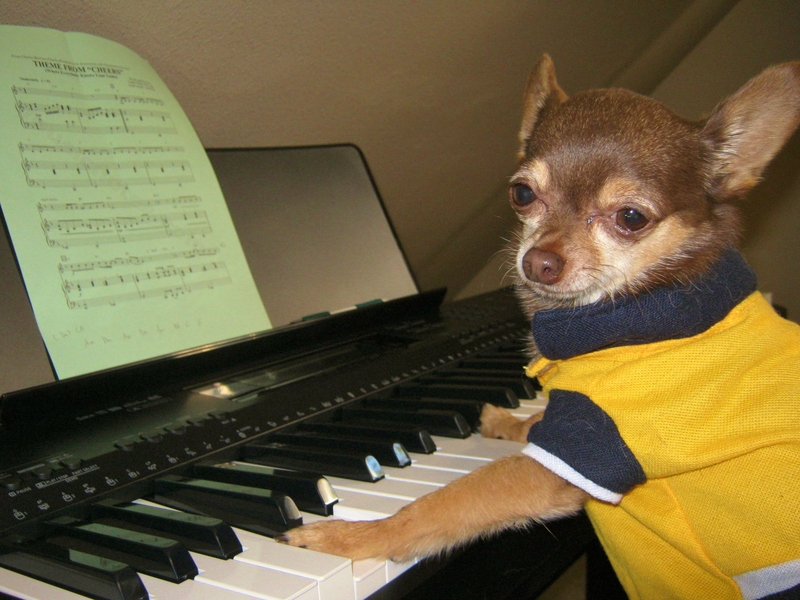 I’ve got a jam session with Billy Joel later today and I’m determined to become the next Piano Man– er Piano Pup.